NEW YORK -- Jaguar Land Rover is giving the second all-new engine from its new plant in Britain a high-profile debut -- under the hood of the revised 2018 Jaguar F-Type sports car -- in one of the company’s most important markets. At the New York auto show, JLR executives presented the F-Type two-seater and introduce a new entry-level model powered by a 296-hp, 2.0-liter turbocharged four-cylinder Ingenium engine. JLR’s engine plant in Wolverhampton, England, opened in 2014 came online in late 2015 and has been making diesel versions of the Ingenium engine. Ingenium is the first all-new engine family designed, engineered and built in-house since Jaguar and Land Rover were sold to India’s Tata Motors by Ford Motor in 2008. 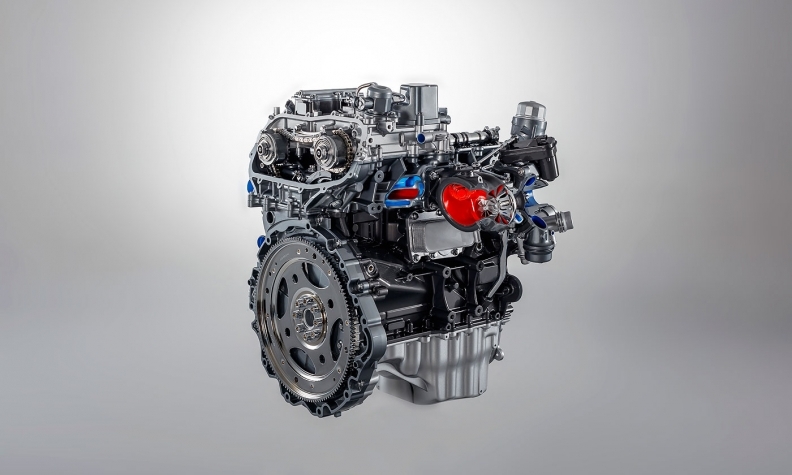 The factory is now building gasoline versions of the Ingenium, which will replace the 2.0-liter turbo gasoline engine JLR has been buying from Ford. The gasoline-powered Ingenium will be available in the compact Jaguar XE sedan and various Land Rovers, such as the Discovery Sport and Range Rover Evoque. The 2.0-liter 2018 F-Type comes with just one transmission choice, a ZF eight-speed automatic. No manual gearbox or all-wheel-drive option will be available in the four-cylinder F-Type. The car will be priced at $60,895, including shipping, and slots under the V-6 F-Type, which has a supercharged engine rated at 340 hp and a starting price of $62,395, including shipping. The two-seater will be one of the few sports cars available with a four-, six- or eight-cylinder engine. The top F-Type model, the SVR, comes with a 575-hp, 5.0-liter V-8 that has an MSPR a sticker price of $126,945 in the U.S., including shipping. 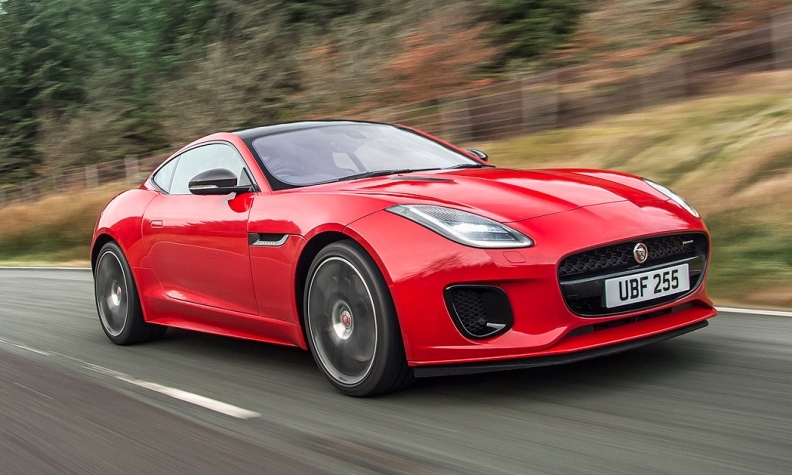 The F-Type is the latest sports car to offer a four-cylinder. Last year, Porsche introduced a four-cylinder version of the Boxster and Cayman, and Ford and Chevrolet had added turbo fours to the Mustang and Camaro. At 148 hp per liter, the F-Type’s 2.0-liter engine is one of the most power dense in the industry. It’s also marks the first time since before World War II that Jaguar has installed a four-cylinder engine in a sports car. All F-Types get a number of upgrades improvements for 2018, including freshened styling that features new headlights, restyled front fascia, new paint and wheels options. New, slimmer seats increase interior room, and a more chrome trim has been added inside.